Octagon was established in the year 2004. With the core strength of metrology experience, Octagon is successfully offering innovative and cost effective measurement solutions to different range of industries. With strong in-house design, software and manufacturing facility OCTAGON is well positioned to cater quality needs of industry. By consistently adopting innovative technology in our products, in the past decade in India, Octagon has set a benchmark within manufacturing industries of precision measuring machines. In our temperature controlled manufacturing facility, measuring machines are assembled and tested for performance according to stringent International Standards. With skills developed over past several years the machines assembled here are now exported to our prestigious customers world over. The facility is ISO 9001:2008 Certified. 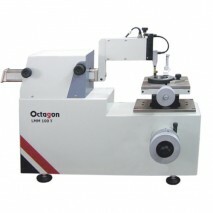 Since last 5 yrs, Octagon has successfully installed around 125+ universal length measuring machines within India and also many other countries few of those includes Singapore, Indonesia, Korea, Turkey, Brazil, Mexico, Israel etc. 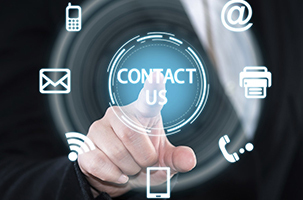 Our main customers are from various sectors of industries including Gauge & machine tool manufacturers, Automobile & Aerospace industries, National metrology institutes (NMIs) of various countries, ISO/IEC 17025 accredited calibration laboratories worldwide as well as Research & legal metrology laboratories, Defence establishments including different Ordnance Factories as well as Petrochemical Industries located globally. • The metrology systems for Automobile crankshafts and camshafts.